When preparing to launch a product in stores, the logistics of getting goods packaged shouldn’t cause added frustrations or setbacks. Putting time, care, and attention to detail toward the quality of the product should be a brand's chief concern, which is why teaming up with a trusted packaging partner is so essential. Your partner in product packaging will deliver high-quality, flexible package seamlessly and on time so your entire product line functions, performs, and looks exceptional inside and out. Not only that, a trusted partner will also help your brand distinguish itself from competitors through visual cues that draw consumers to your product. StandUpPouches.net has partnered with Avery WePrint, an online professional printing service that specializes in short-run custom labels, to help emerging businesses enter the same playing field as massive, big-name brands. Through this partnership, we help your company create a cohesive, consistent brand image through the use of high-quality packaging and custom printed labels that show off your distinct logos, color schemes, designs and graphics. Custom printed labels are the perfect solution for companies that don't yet have the resources to order large runs of fully custom-printed packaging.  CPG brands can order smaller quantities of plain stock stand up pouches AND custom designed labels directly from the StandUpPouches.net online store. This saves you the hassle of printing out your own labels or shopping around from a plethora of sticker companies to find a solution that reflects the quality, consistency and attention to detail your brand puts into developing its products. Avery WePrint and StandUpPouches.net offer an all-in-one solution to get your products packaged and ready to send to major retailers. Not only are we your "one-stop shop," we also pride ourselves on being your full-time packaging partners — here not only to supply you with high-quality, innovative flexible retail packaging, but also to help your brand, and its product line, stand out from the competition with customized solutions. Visit avery.com/standuppouches to get started.